Read our Black Diamond Chaos Harness review to decide whether or not this product is the best fit for you. You may not realize just how important it is to choose a strong climbing harness until you're hanging on that wall of rocks or ice. One harness may work great for your climbing pals. However, that doesn't mean it will work for you. It's important to research and try out as many harnesses as possible before investing in your next harness. An yes, consider this an investment that will hopefully last you a long time! To help you find your next harness, we wrote up this Black Diamond Chaos Harness review. It's our goal to give you as much information as possible to help you figure out if this is the next harness for you! You'll be able to tell pretty quickly if a harness is a comfortable fit or not. Still, it's important to do some digging. Certain qualities of a harness may not be so obvious just by looking at it. Spend some time reading through this Black Diamond Chaos Harness review and other harness reviews before purchasing your next piece of climbing gear. If you're an avid climber, then you've likely heard about Black Diamond Equipment. This Utah-based company specializes in selling and manufacturing climbing, skiing, and mountain sports equipment. The company was founded in 1957 and is owned by Clarus Corporation. They also own Pieps and owned Sierra Bullets. Black Diamond offers durable, long lasting equipment that is sure to fit every climbing and adventure need you have. They're also just as dedicated to making sure you find equipment that it best suited for you. There's so much we love about the Black Diamond Chaos Harness that we'll go over in this review! Still, not every product is perfect. Discover the pros and cons of this product in our carefully curated Black Diamond Chaos Harness review. The Black Diamond Chaos Harness is light-weight and comfortable when hanging in-between climbs. It has a padded waist belt that helps to alleviate pressure to the point where the climber can all but forget that they have a harness secured to their waist. When researching for this Black Diamond Chaos Harness review, we found that the fit of this harness is snug. But not so much that it fits too tightly on the climber. The fit is sturdy and secure but offers plenty of mobility without sagging at the hips and waist. One note to keep in mind is that the Black Diamond Chaos Harness has elasticized fixed leg loops. Therefore the more layers you add, the tighter this fit may seem. Overall, the Black Diamond Chaos Harness passes our test for standing comfortability on the wall. We know how important it is to be comfortable when hanging back on the wall. With the padded waist belt and elasticized fixed leg loops on the Black Diamond Chaos Harness, we found that this product is neither incredibly uncomfortable or insanely comfortable when hanging in the harness. This is an aspect of all harnesses that can't be confirmed until you try it out for yourself. Accordingly, the hanging comfortability of this harness was noticeable enough to still recommend this product. Yes, the harness tends to ride up a bit the longer you hang there... But sadly, that's an aspect of climbing harnesses we may never be able to avoid. One fun fact to keep in mind when searching for harnesses is that about 60 percent of a climber's weight is supported in the leg loops. The other 40 percent is supported by the waist belt. You'll find that the hanging comfortability may not be the best on this product. However, the elasticized fixed leg loops on the Black Diamond Chaos Harness are sure to provide noticeable durability during your climb. If you've experienced both ends of the belaying spectrum, you'll know that most of the weight of your partner hanging on the wall is pinpointed to the leg loops of the harness. Most specifically, where the loops wrap around the inside of the leg. With the elasticized fixed leg loops on this product, we found while doing research for the Black Diamond Chaos Harness review that this product is so-so when it comes to belaying comfort. Because you cannot adjust the leg loops, they pretty much stay put wherever they fall on your legs. That being said, the Black Diamond Chaos Harness does not create and uncomfortable fit while belaying. And it's worthy to note that the cushioned waist belt stayed comfortably and securely in place, so this harness is still more comfortable than others out there with fixed leg loops. All climbers can relate to the discomfort of feeling trapped in your harness while navigating yourself up a climbing wall. 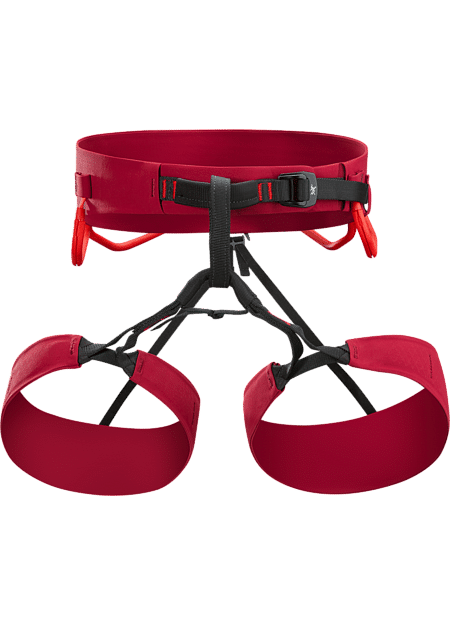 Therefore, mobility is one of the aspects of this product that we looked into the most when writing up this Black Diamond Chaos Harness review. Again, this feature seems to come down to the leg loops. Though the elasticized fixed leg loops provide durability, stability, and support when standing and hanging on the wall, they tend to limit mobility more than a harness with adjustable leg loops would. That being said, you likely won't notice a noticeable level of discomfort or a striking difference between the leg loops on the Black Diamond Chaos Harness and those on a harness with adjustable leg loops. While we can provide you the information on this product's mobility in our Black Diamond Chaos Harness review, at the end of the day this is a feature that comes down to climber preference. There are few things more uncomfortable than a climbing harness that is trying to weigh you down. Luckily, that's not something you'll ever have to worry about with the Black Diamond Chaos Harness. This product weighs a nice and light 14 ounces, yet still remains to be a strong and reliable bit of climbing equipment. The lightness also helps with mobility and endurance while making your way up that rock or ice wall. Now it's time for the fun part of this Black Diamond Chaos Harness review: discussing all of the cool features this product offers! We've already mentioned how great the cushioned waist belt is. That's partially due to the EVA foam inserts placed throughout the interior of the harness, which also provided added lumbar support for extra comfortability while hanging. Additionally, the waist belt is single auto-locking, which helps give the harness a snug fit that stays secure on your body throughout the duration of the climb. The Forged Speed Adjust buckle has a raised side rail that will help prevent abrasions against the webbing. This product also has an upturned baseplate which provides an easier lift for loosening. Finally, the rear kick down on the top plate helps to eliminate the chances of slipping during your climb. While we've spoken a lot about the fixed leg loops of this product during out Black Diamond Chaos Harness review, it is worthy noting that the leg loops can be fully removed if need be. This is a good option for climbers looking for more comfortable bivies on an alpine rock route. Finally, if you're a climber who enjoys to document your adventures, then pay extra close attention to this next bit of our Black Diamond Chaos Harness review! 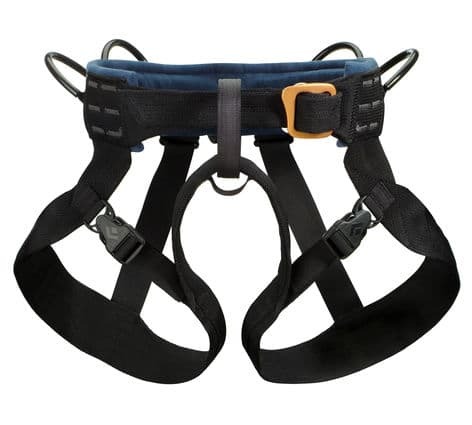 This harness has four pressure-molded gear loops that provide plenty of space for climbers to place their cams, alpine drawers, or any other bits of equipment you want to attach while making your ascent down the rock or ice wall. The Black Diamond Chaos Harness is a well-made, high-end, durable piece of climbing equipment. However, coming in at $124.95, it is a rather expensive harness. Most specifically, we're finding this harness is best for tad cragging and long free routes. Travelers are raving about its Kinetic Core Construction, which helps to disperse weight in the waist. The fixed leg loops help keep the harness simple – and simplicity is good during complex climbs. However, many travelers are finding there aren't enough extra perks and features for such a high cost. Though across the board people are saying this harness is sure to last, travelers are not 100% convinced it's worth the price. While researching for our Black Diamond Chaos Harness review, we couldn't help but come across other great climbing harnesses. As with all sporting equipment, no product is "one size fits all." If the Black Diamond Chaos Harness isn't for you, maybe you'll like one of the following products. For climbers interested in a versatile and comfortable harness, the Arc’teryx FL-365 may work for you. This product is designed to be fast and light-weight. Because it is so easy to wear, the Arc’teryx FL-365 is excellent for rock, ice, and alpine climbs. The Arc’teryx FL-365 also has Warp Strength Technology. This features strategically separates the hip belt webbing to eliminate pressure points and balance out weight. It also adds extra comfortability without increasing bulkiness. The Arc’teryx FL-365 also features Burly Double Weave fabric that adds extra stretch while hanging. 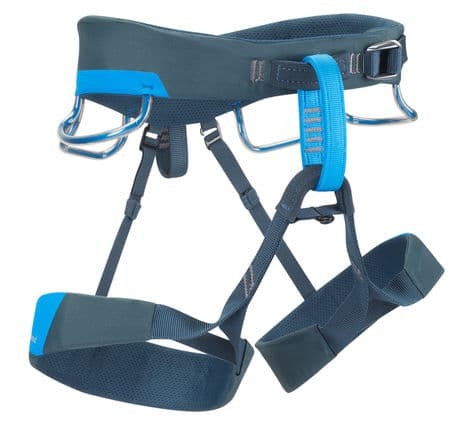 As with the Black Diamond Chaos Harness, this product has elasticized leg loops. The loops provide a snug, comfortable fit no matter how many layers you're wearing. For extra safety, the Arc’teryx FL-365 has a single self-locking waist buckle. In addition, it has drop-seat compatibility, four gear loops, and four ice clipper slots. 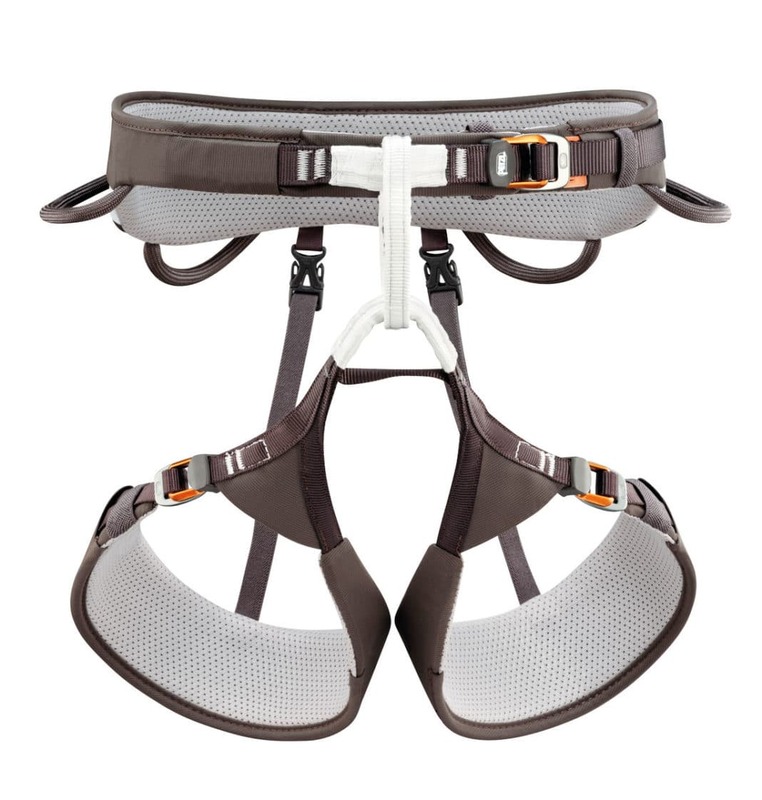 This harness is a whopping 12.9 ounces – even lighter than the Black Diamond Chaos Harness! This is easily one of the best climbing harnesses on the market. Every climber in search of a new harness should check this product out. Simple, versatile, and comfortable. Those are the top three words to describe the Black Diamond BOD Harness. We love this harness because it's easy to use and durable for all types of climbing. Whether you enjoy sport climbing, trad climbing, mountaineering, canyoneering, or alpine climbing, this harness will work for you. What's more – it's affordable! The Black Diamond BOD Harness will not break your bank. It will however provide a piece of climbing gear that you'll love. Its nylon webbing is durable and long-lasting. The fleece padding adding extra support and comfort while hanging. The four gear loops and haul loops are sturdy and roomy. Overall, this is a practical, easy-to-use harness for all types of climbing adventures. The Petzl Aquila Climbing Harness is so comfortable that you might even forget you're wearing it. This light-weight harness is sturdy and snug without rubbing and chafing your skin. The reinforced Dyneema at the tie-in points and belay loop adds extra durability for falls. The weight on this harness is low, therefore it has great mobility and versatility. It's important to note that its smaller rear gear loops decrease functionality slightly. Therefore, this harness is most ideal for sports climbers. Additionally, the gear loops are designed to push your weight forward. Therefore this harness makes it easy to latch onto the rock for quick clipping. The mesh-covered padding increases breathability. Because this harness is so light-weight and breezy, it's perfect for hot days both outside and at the rock gym. It's also quick to dry, so there are no worries about the sweat-stench lingering for too long! The Black Diamond Chaos Harness is one of the more expensive climbing harnesses we've reviewed. As adventurers, we understand how expensive climbing gear can be when you add everything up. Therefore if you do not 100% love everything about this harness, we advise you continue shopping around a bit more. While we're sure that the Black Diamond Chaos Harness will keep you safe and secure during your climbs, comfortability and customer satisfaction is just as important. Hopefully this Black Diamond Chaos Harness review helped you figure out whether or not this climbing harness is the next piece of equipment you'll be adding to your collection! If not, don't give up hope! There are hundreds of harnesses out there waiting to be tried out. 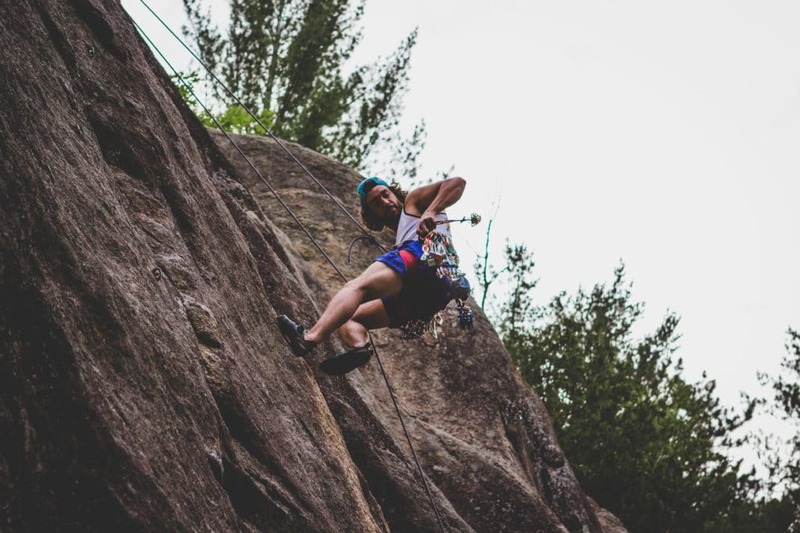 Are you an avid rock climber? Do you have a harness and other climbing gear that you absolutely love? Leave a comment and let us know!